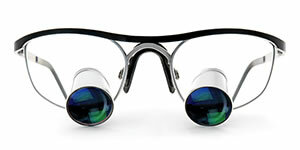 Synca is proud to announce its affiliation with CJ Optik of Germany, as exclusive Canadian distributor. 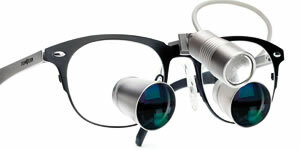 Mr. Carsten Jung, the CEO of CJ Optik, has years of extensive experience in quality microscope design and manufacture. 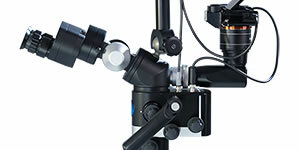 His evolutionary CJ Optic FLEXION was awarded the prestigious German Design award, 2017 and it has quickly become a social media favorite, with hundreds of excited users around the world sharing their positive experiences, and integrating this innovative design and superior-quality microscope into the dental practices. 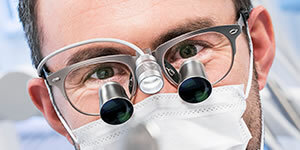 Canadian dentists can now count on Synca to provide the most complete magnification and lighting solutions for all their needs. Synca is proud to announce its new partnership as the exclusive distributor of Hi-Tec implants in Canada. 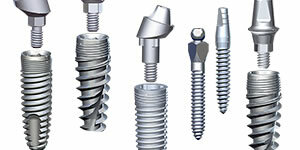 Hi-Tec has been producing premium quality dental implants and prosthetic elements for over 25 years. Hi-Tec products are sold throughout the world and are already popular in the USA, all of Europe and many other countries. 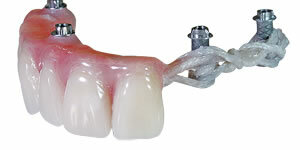 Hi-Tec offers over 12 different implant systems; many are fully compatible with the most popular systems available today. As per Raymond Monette, president of Synca, Canadian dentists will now have a new option that makes implant dentistry more affordable for patients, while maintaining the quality of a premium brand. Its easy for dentists to use Hi-Tec, as in most cases, they continue to use their existing surgical kits; abutments are interchangeable with many name brands. A complete on-line shopping cart will be available in the near future at www.synca.com. Synca announces the immediate availability of CST® TEMP. 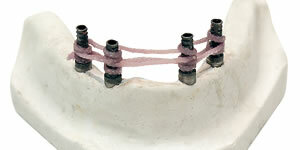 This fiber reinforcement offers a significant increase in the fracture and fatigue resistance of phase 1 transitional dentures. 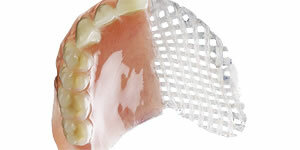 CST® TEMP adds only 5-10 minutes to the fabrication time of a new or conversion denture and is designed to be so cost effective that it will be inserted in all cases. It will save dentists, labs and especially patients, the significant inconvenience and hassles of having to repair fragile transitional dentures. Synca is please to present a new concept for marketing Calaject to your younger patients. A cartoon and activity booklet presents Calaject and creates curiosity around the new device. 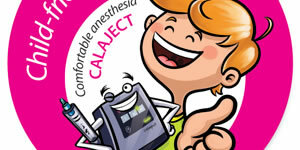 The booklet presents Calaject and how its lights and beeps make treatment painless. The young patient becomes a hero after treatment and receives his choice of hero badge. This is complemented with wall posters for your operatories and a Calaject sticker for the operatory entrance. These new, larger whitening posters (26 x 38”) increase awareness of whitening services available in your practice. They are FREE with certain initial purchases and additional posters are available at a low cost to all clients. Dr. Tariq Alsalous, Squamish, B.C. Dr. Brian Bengtson, Coquitlam, B.C. “I switched from providing my injections with the Wand to the Calaject system about two months ago, and it was a wise decision! The change in product was easy to adapt to as they both function very similarly, but with Calaject there are no recurring costs! The change in systems paid for itself in 3-4mths and from what I calculated I'm saving thousands per year moving forward. I like the fact that Calaject doesn't have to be plugged into the wall making it easy for staff to move it from op to op. I also like the look of the unit better as well - more impressive looking. My patients haven't noticed a difference and I'm still benefitting from more comfortable, consistent injections for my patients. I find this technology increases block injection success with a faster onset. I also like the fact that I can offer options to my patients that minimize the number of injections given, as well as utilize less anesthetic overall! Patients love not having their whole face numb when I have to treat a lower molar, or love that I can give only one very comfortable palatal injection to anesthetize the same number of teeth as 6 infiltrations! Synca creates new communication brochure for Fiber Solutions! 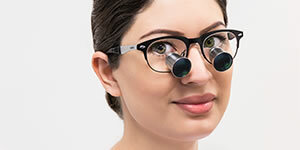 This new easy-to-read brochure provides an overview of the most popular techniques that have gained acceptance through clinical success over the last few years. 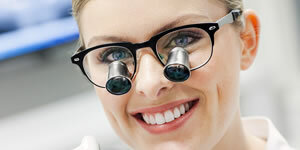 It is an ideal tool for laboratories to send to their dental office clients and vice-versa. Request FREE copies with your orders. 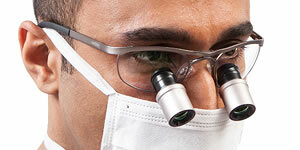 In the last decade, Synca set up hundreds of Canadian dental offices with computer-controlled anesthetic devices. 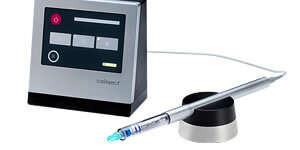 We now offer Calaject, the latest generation electronic anesthetic delivery device from Denmark. Users will immediate sense the high quality design and manufacturing quality of this 2014 Red Dot award winner. The big win with Calaject is that users don't have to purchase a single use anesthetic tube at several dollars per injection. 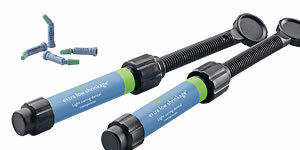 Competitive prouducts can costs users thousands of dollars every year on this disposable. With Calaject there is ZERO disposables cost - our estimate is that a Calaject injection will only add about 33 cents to the cost of treatment, while putting a big smile on your patients of all ages. Our new rent-before-you-buy program allows you to confirm the impact that Calaject can have on your practice - before you invest in your own unit. EZ DAM® - 100% made in Canada! EZ DAM® is the evolution of isolation products. 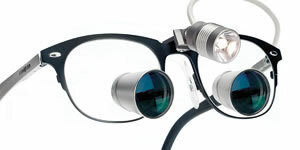 Most of our clients are already working with ExamVision magnification and lighting. 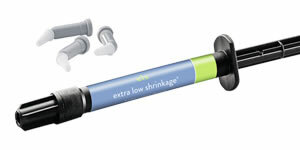 Now EZ DAM® brings treatment procedures to the next level by improving the treatment site for your procedures. 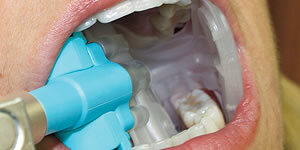 It offers high volume suction, tongue retraction, cheek retraction, throat pack and bite block all in one device. You will be surprised at how well is evacuates water, saliva and debris and allows the dental team for focus solely on the work at hand. EZ DAM® is ideal for a host of restorative and hygiene procedures. Nothing kick's off successful esthetic treatment acceptance than an in-office whitening session. Synca now offers a faster, easier, and less expensive in-office whitening system with formula additives to reduce or eliminate any sensitivities. 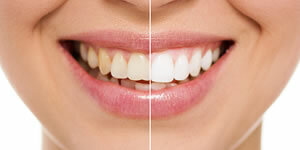 Special buying programs offer either free whitening lights or kit prices to get you going. Brilliance 20 can be used alone or in conjunction with Brilliance at-home professional whitening or ENA White 2.0 brush whitening system.